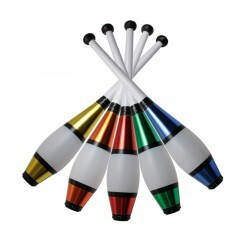 Juggling Clubs are not as hard as people make out. 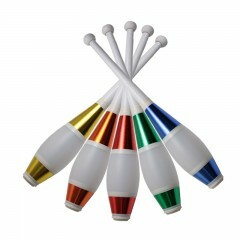 When mastered, the main advantage is that the club can spin forwards, backwards, sideways and with any spin at all, adding that extra dimension to your juggling. 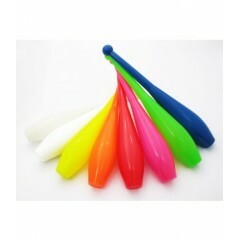 Juggling clubs come in a mix of sizes, colors and shapes. 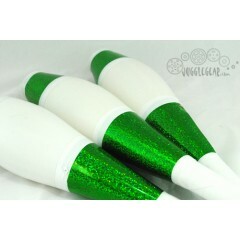 This is a medium spin, traditional club with a white coloured body, glitter docorations and soft wra..
Juggling clubs often get marked during storage, so we made this handy bag to keep them clean!Bag des.. 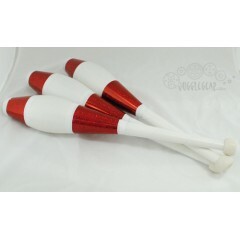 This is the first one piece juggling club from Play, another excellent prop! One Piece Clubs are gen.. 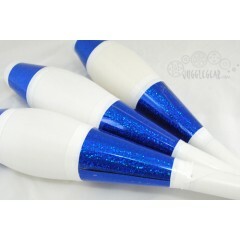 The VEGAS is the decorated version of our SIRIUS. 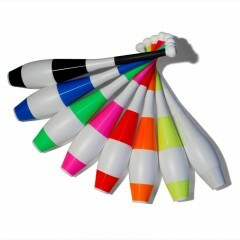 It's the only club in the world with an innovative.. The VEGAS is the decorated version of our SIRIUS. It's the only club in the world with an inno..